Above you can see a Kojima Productions' own 40 minute demo of Metal Gear Solid V: The Phantom Pain, courtesy of IGN. It's a decent chunk of footage, and incorporates stealth, violence, and a good dog. Also: blasting out the best of the '80s as you evac from a battlezone. It looks great—similar to Ground Zeroes in terms of control and interface, but massively expanded. And there's no need to worry about spoilers, as the main mission of the demo has been tweaked specifically for E3. I particularly like the bit where a speeding robot is able to sneak up on and punch out an oblivious guard. The semi-silly battlefield infiltration stuff couldn't seem more different to The Phantom Pain's official E3 trailer—a six-minute epic of philosophy and weirdness. 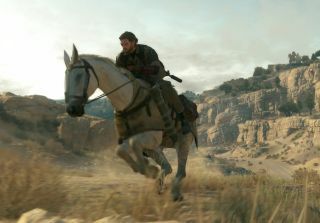 The Phantom Pain is out on PC on September 15, two weeks after the console release.